An elegant and ‘noble’ designer chair created in the 1950s by the acclaimed furniture designer, Arne Hovmand-Olsen. The Noble dining chair is a classic beauty that transports the craftsmanship and aesthetics of Danish modernism into the contemporary dining room or sociable kitchen. 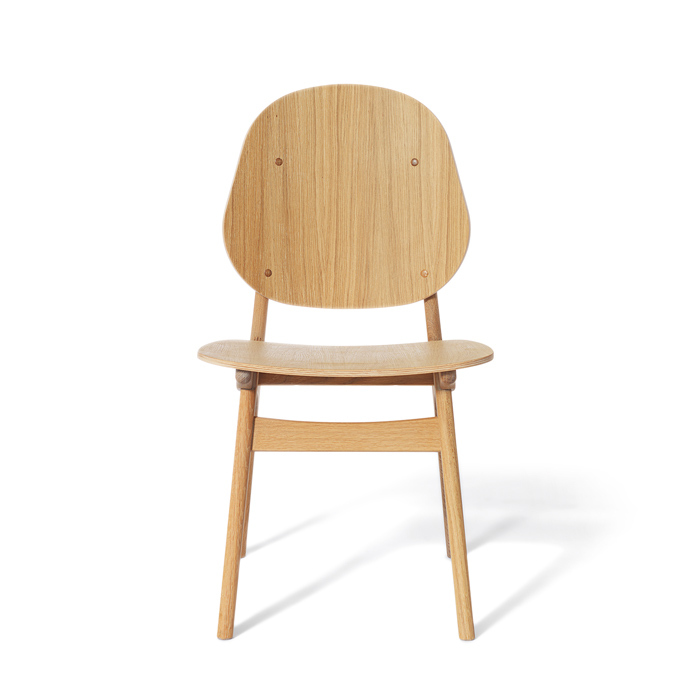 Noble’s high back and its distinctive details highlight the beautiful qualities of the wood. The seat of the chair is available in upholstery or leather, each of which in its own way harmonises with the noble wood, underscoring the timeless appearance of the Danish-manufactured dining chair. Choose from several different exclusive furnishing fabrics from the likes of Kvadrat in carefully selected shades from the Warm Nordic universe, or the highest quality black or natural leather. The frame is available in several exclusive types of wood with various classic surface treatments and colour expressions. 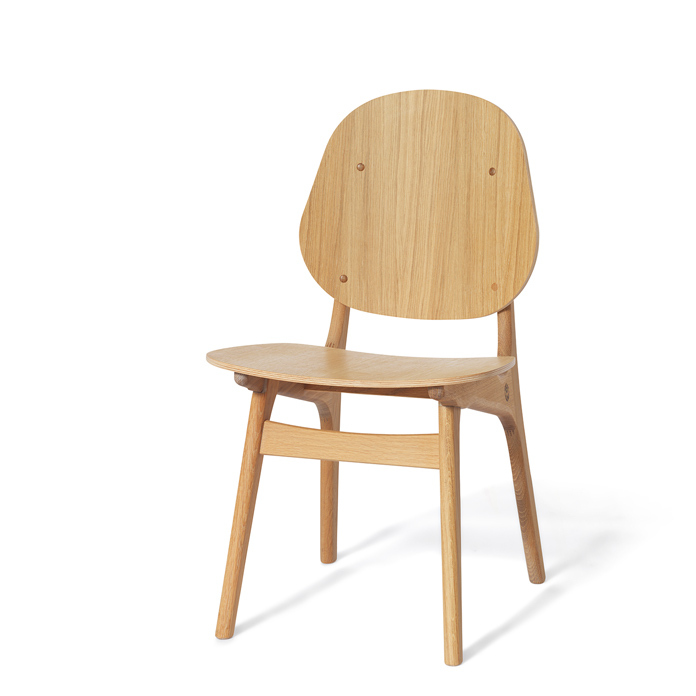 The classic Noble Chair was originally designed in 1959 by the Danish furniture designer, Arne Hovmand-Olsen, who was well known for his innovative, Scandinavian style furniture design. The Noble dining chair is a perfect complement to the EVERMORE dining table by the same designer, but also looks great with other tables with classic lines. 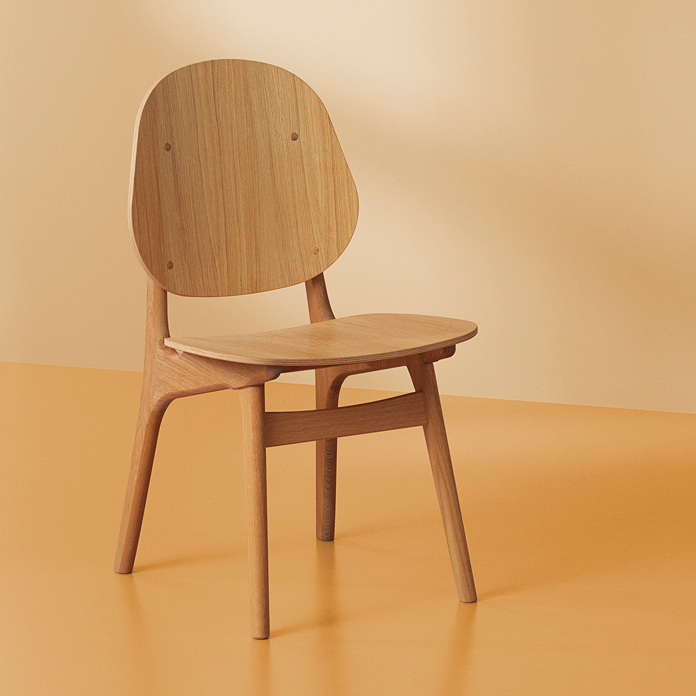 One of the key features of the Noble chair is the high quality of the materials and a timeless design that testifies to the designer’s love of wood. Arne Hovmand-Olsen had a talent for both craftsmanship and aesthetics, and encapsulated both in his elegant designs. The Noble dining chair has been specially selected for the Warm Nordic range as a tribute to iconic Nordic design that invests modern décor with invaluable diversity and depth.